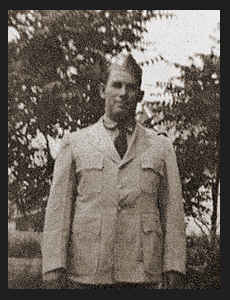 SP 2/c Monty C. Worthington, son of Hall V. Worthington, graduated from Frederick High School and Cumberland Univ. ; husband of the former Hazel J. Dickey. Entered Coast Guard in June, 1942, trained in Owenbord, Ky., Oglethorpe, Ga., and Benicia, Cal. ; was honorable discharged in Sept., 1945. Awarded Good Conduct Medal.